When planning to build a gaming PC, everyone always pays attention to the obvious parts, CPU, GPU, RAM, SSD, power supply, etc. But what many don’t realize is that the hardware inside the case is only half of the battle. Pairing that high-end gaming machine with a $30 wireless keyboard/mouse combo you bought 4 years ago at Best Buy just doesn’t make any sense. The peripherals you choose can make just as large or an even larger impact on your gaming experience than a new graphics card will. 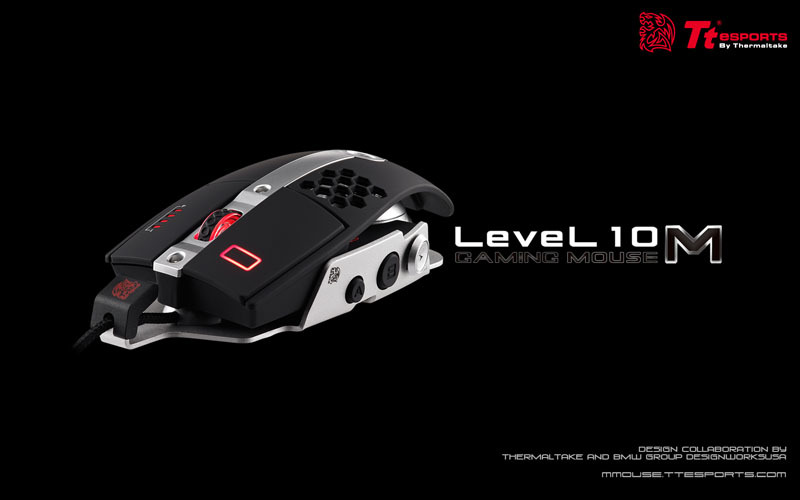 Today we are taking a look at the Tt eSPORTS Level 10 M gaming mouse which promises to show just how big of a difference a peripheral can make. In case you are not familiar with them, Tt eSPORTS is the gaming branch of Thermaltake that makes high-end keyboards, mice, and headsets. As for the Level 10 designation, that is a product line from Thermaltake that was designed in collaboration with BMW’s DesignworksUSA to provide both stunning and unique aesthetics as well as practical functionality. The Level 10 M we are reviewing today is the newest product in the lineup with a radical design like nothing I have seen before. Read on to see if this mouse’s performance lives up to the expectations.